To start feed: Remove cover and discard seal from container. From center of wipe roll, pull up wipe corner; tear off first wipe for use. Twist next wipe into a point and thread through the hole in the container cover. Pull through about one inch. Replace cover. Pull out wipes as needed and snap off at 90o angle. Keep center cap closed to prevent moisture loss. Wipe hands, fingers, interdigital areas and wrists thoroughly with towelette. Be sure to utilize the entire wipe surface. Allow to dry. 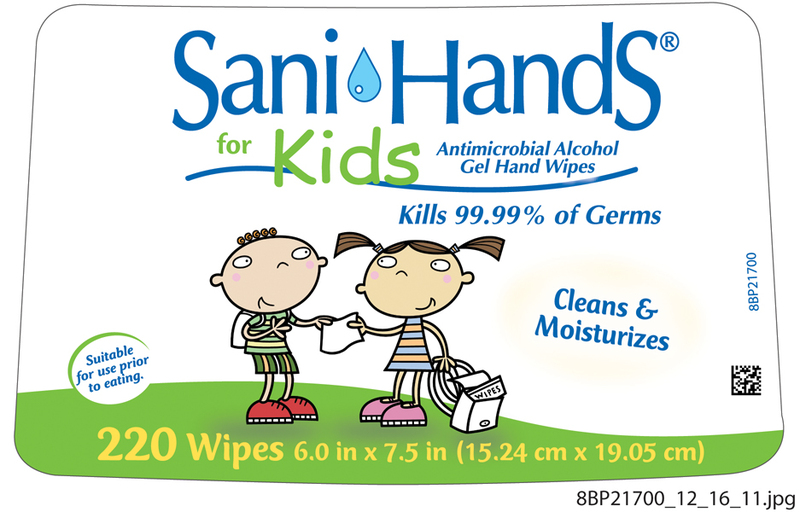 For dirty hands, use first wipe to clean hands, then discard wipe; sanitize with second wipe. 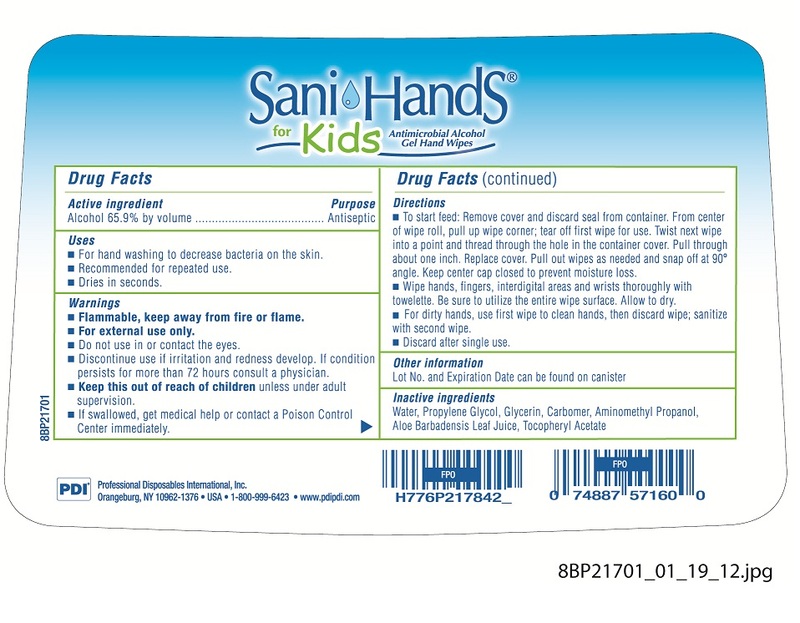 For dirty hands, use first wipe to clean hands, then discard wipe; sanitize with a second wipe. Discard after single use.